Total No. 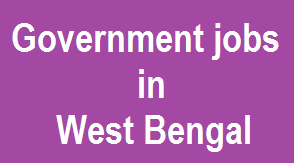 Of Vacancies: The Government of west Bengal has released the notification for the posts of 440 Social Audit Volunteer Posts. Mode of Apply: Social Audit Volunteer Posts can be applied in offline mode only. The candidates must complete minimum of 10th or its equivalent from any recognized board/university/institute. The candidates should have minimum 18 years of age as on 1st January 2015. The candidates who are interested in Social Audit Volunteer in 2 ways. Closing date of online Application for Social Audit Volunteer Posts: 09th November 2016.